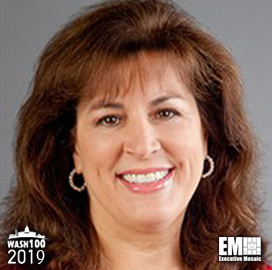 Nazzic Keene, chief operating officer of Science Applications International Corp., told the Washington Post in an interview published Friday the acquisition of Engility provides SAIC an opportunity to expand its presence in the intelligence community and military space industry. “That diversification I believe sets us apart a bit from everybody else,” Keene, a 2019 Wash100 winner, said of the Engility transaction. Keene is the latest female executive selected to lead one of the publicly traded defense and government services contractors. She was recently elected by SAIC’s board to succeed CEO Tony Moraco, a 2019 Wash100 recipient who is set to retire by July 31. She also noted the Pentagon’s increasing interest in space-based systems. “The interest in space and the critical nature of securing the space domain gives us a little bit of budget protection,” Keene said.